There are many benefits to performing energy modeling on your building. Allows you to do the design right the first time instead of paying more to correct it later. 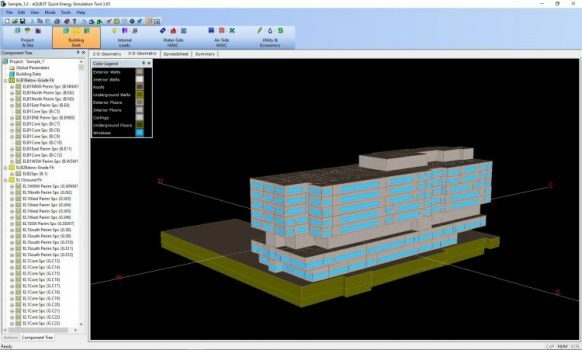 Energy modeling should be done early in the schematic design phase to ensure that efficiency goals are met with minimal complications or costs. A preliminary model is used at this stage to estimate savings. Caneta staff can provide feedback and recommend efficiency strategies to the design team for implementation into the design. We can also advise the team on any changes that occur during the design process. Once the design is completed, a final model is developed and a report appropriate for the application (code compliance, LEED, etc.) is prepared. Several Caneta staff are on CaGBC’s Experienced Modellers list.